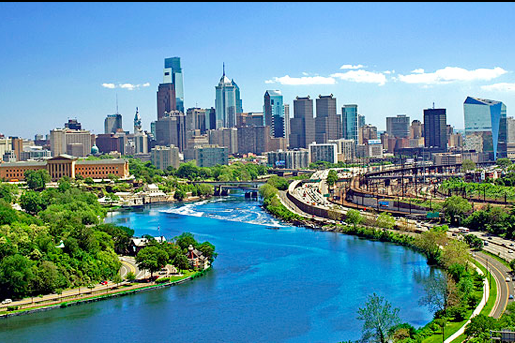 As the administration of Philadelphia Mayor Michael Nutter begins to wind down, the city has released a final report on the progress of the comprehensive Greenworks sustainability plan launched in 2009 as a collaboration between government and external partners. The plan, which considers sustainability in the broadest terms, encompassed five overarching goals in the areas of energy, environment, equity, economy, and engagement. Over the past six years of implementation, Greenworks established and tracked 15 measurable targets with annual progress reports while serving as an umbrella for more than 160 specific initiatives. Greenworks has been an incredible shared success. The plan was in response to an advocacy effort, which created a base of support from day one. The breadth of issues it encompasses provides opportunities for many to connect to it, distributing leadership and benefits. The Mayor and City Council sharing this agenda was and will remain essential. Having champions across City government was critical, as was having stakeholders outside of government pushing us and advancing work of their own. This special confluence of circumstances allowed us to hit the ground running, activate work on a wide variety of topics, and ultimately position Philadelphia as a leader in urban sustainability. 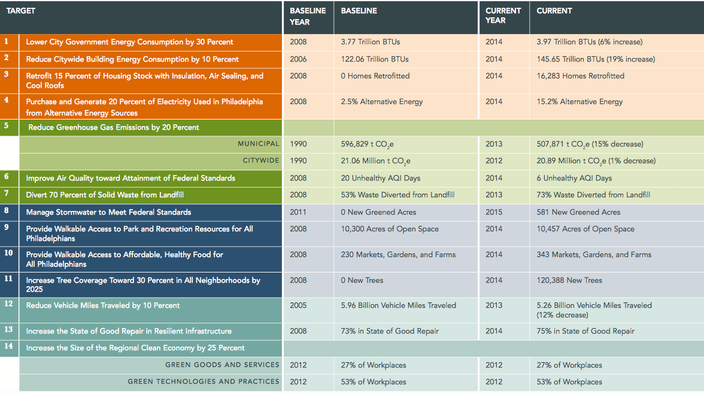 The 2015 report provides cumulative metrics over the course of the program, an overview of achievements in the past year, and a framework for an updated sustainability plan in Philadelphia in the years to come. Of the 15 targets, the city exceeded four, met one, came close to two, trending in the right direction on two, and did not meet four others, as illustrated in the table below. Among the vast range of city initiatives both large and small, one of the greatest accomplishments of Greenworks to date has been the establishment of systems to store, analyze, track, and report both historic and current use data to help create benchmarks and facilitate collaboration among a widening network of program participants. Specifically, the city's EnergyWorks program made significant headway in its efforts to increase the energy efficiency of homes throughout Greater Philadelphia. By 2014, compared to a 2008 baseline of zero, 16,283 homes were retrofitted with the help of 2,592 loans that leveraged $4.6 million in federal funds (through the American Recovery and Reinvestment Act) and more than $20 million in private investments. Even the clock tower lighting in City Hall switched to LED bulbs, with projected annual savings of $10,000 in energy costs. In other areas, the city made strides in air quality improvements and reduced carbon emissions by 9 percent compared to a 2006 baseline. Emissions from city-owned and operated buildings dropped by 12 percent as of 2013. Most importantly, Greenworks implemented an enhanced emissions reporting strategy that will help guide emissions reductions in all buildings, which alone account for 60 percent of citywide emissions in 2012. The report evaluates why several of its goals were not met, noting factors such as extreme weather, population shifts, the availability of funding, and changing policy expectations at all levels of government. Overall, it calls for continued public support and advocacy that will prioritize sustainability for the future and make it a permanent responsibility of city government, led by a common vision and goals. In view of an updated 2016 sustainability plan, the Mayor's Office of Sustainability solicited and cataloged feedback from partners both inside and outside government. The two most frequent recommendations were to go bigger in pursuit of transformational changes and to go deeper at the neighborhood level to make these initiatives more relevant and connected to the daily lives of Philadelphians. 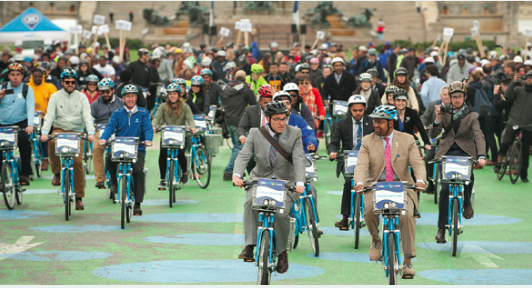 Read the full 2015 Greenworks Philadelphia Progress Report here.